When deciding whether to settle a case, a lawyer assesses the risks and uncertainties inherent in the litigation process including the quantum of damages that a judge will likely order for each head of damages claimed. I call this litigation risk. As I have written before, employees seldom claim only wrongful dismissal damages in an employee termination case. Additional heads of damages include human rights damages, moral damages, punitive damages, and damages for the intentional infliction of mental stress. This results in more litigation risk but despite this increased risk more than 90% of cases still settle. Every once in a while a case goes to court and the decision increases the litigation risk for all subsequent cases. This is one of those cases. Based on the reported facts in this case, I would never have predicted that Wal-Mart would have been ordered to pay the employee $ 250 000 in moral damages and $ 500 000 in punitive damages. Until this case is appealed or followed/considered/distinguished by other trial judges, I will need to consider this decision when assessing the chances a judge will order moral damages and punitive damages in my cases. 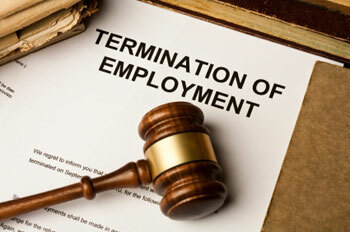 And in the meantime, litigation risk has increased for employers in employee termination cases. In September 2002, Gail Galea started working at Wal-Mart and about 8 years later her employment was terminated without just cause. About 10 months before her employment was terminated, her position was eliminated because of a reorganization. During her last 10 months of employment, Wal-Mart tried to find her another position within the organization and sent her to Harvard for an 8-week executive management program. When Wal-Mart couldn’t find her a suitable position she was terminated without cause. Instead of paying her the two years pay she was owed, Wal-Mart continued her benefits and the equivalent of her salary for 11.5 months. The judge concluded that an agreement between Ms Galea and Wal-Mart obliged Wal-Mart to pay her damages equal to the compensation and benefits she would have earned during the two year period after her termination. As far as paying Ms. Galea damages for variable compensation during the 2 year period after her termination was concerned, Wal-Mart took the position it owed her no monies under a Management Incentive (Bonus) Program, Deferred Profit Sharing Plan, Executive Retirement Plan and a Long Term Incentive Plan. The trial judge disagreed except for damages claimed under the Long Term Incentive Plan. Ms. Galea provided no medical evidence that these actions caused her mental distress. Wal-Mart’s decision to stop termination payments after 11.5 months instead of continuing the payments for the contractually prescribed 24 months was a reason the judge ordered Wal-Mart to pay Ms. Galea moral damages. Accordingly, in this case, damages flowing from the breach of contract was more than would normally be awarded in a case like this which is the difference between the 11.5 months and the 24 months. If an employer does not want an employee to receive damages for the variable compensation that she would have earned had she received notice of termination then the variable compensation plan must clearly say so. For earlier blogs on this issue, click here. If an employer implements a re-organization and does not immediately offer a new job to a person whose position has been eliminated then the employer should provide a reasonable road map to the displaced employee on how her continued employment will be handled and act consistently with this plan. In this case, the judge stated: “Conduct that can trigger moral damages includes an employer’s conduct that is untruthful, misleading or unduly insensitive, and a failure to be candid, reasonable, honest and forthright with the employee.” He found that Wal-Mart breached this duty as it was trying to find a new position for Ms. Galea. I don’t know if this case will turn out to be an outlier but in the meantime employers should be very careful when dealing with an employee who is between jobs within the organization.